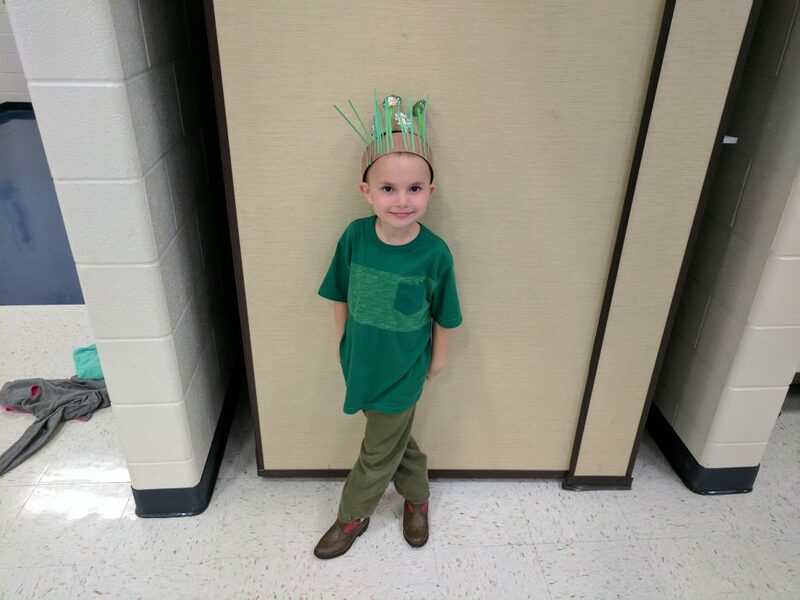 Weekly Happenings: This past week had a fun event: Joseph was able to take part in a musical performance with his class, the other pre-k classes, and the kindergarten class. 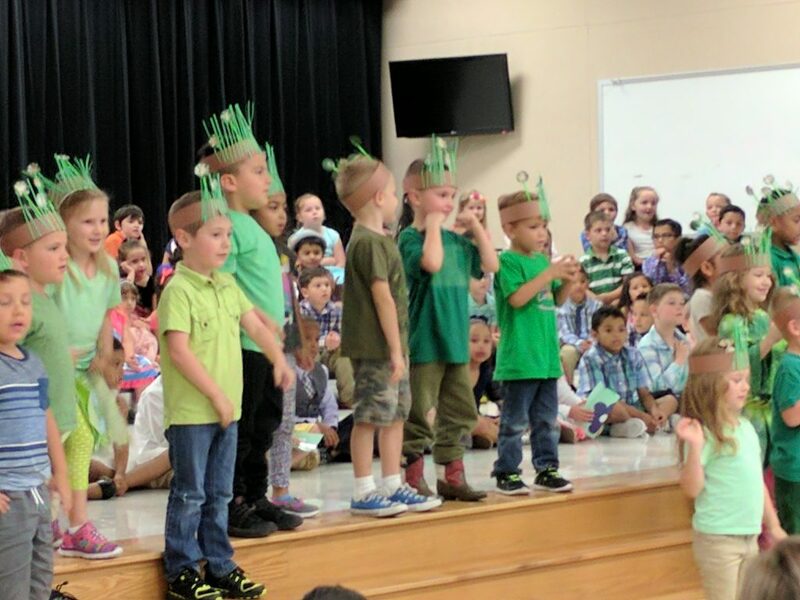 It was about plants and the pre-k kids played the weeds. 🙂 He had a blast! 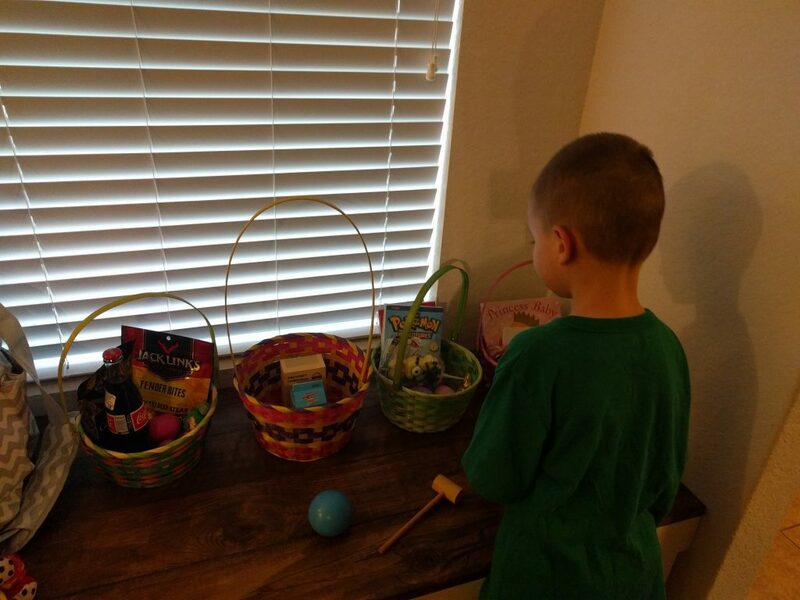 The other fun thing happened this morning, when he discovered that the Easter Bunny had come for a visit. 🙂 Other than that, it was a pretty typical week. The Weekly Weather: It was a mix of sunny and rainy, which is pretty typical for this time of year. It led for an adventure when I had to pick Joseph up from school and it started to pour down rain. I had brought an umbrella, but since the rain was coming down sideways, it only shielded us a bit. A friend of mine came along as I was trying to get the kids into the car and held her umbrella over me, which was greatly appreciated. After we got home, we ALL changed into dry clothes (even Abigail, who in spite of my greatest efforts, still got a bit wet). What Sarah’s Been Up To: Along with attending Joseph’s musical performance, I also took him to a birthday party for one of his school friends. 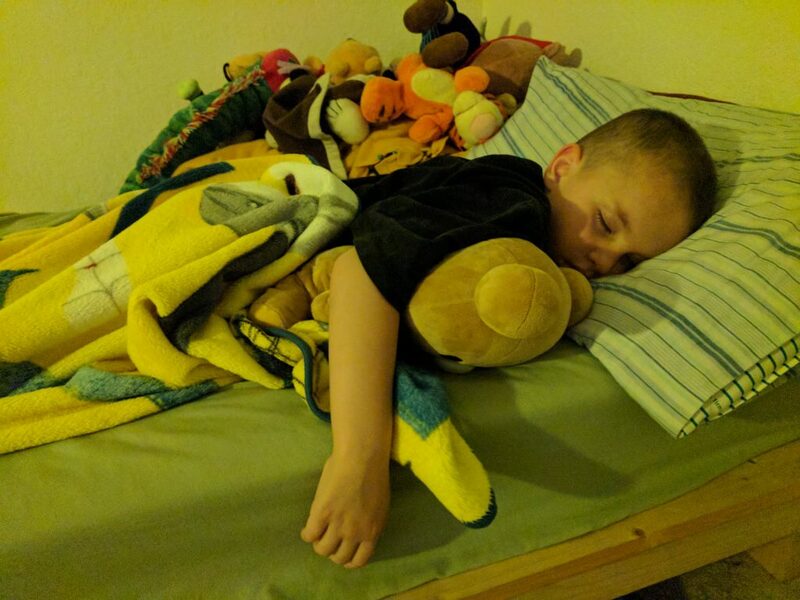 Paul stayed home with Abigail (I’m so grateful for him!). Other than that, it was typical weekly happenings for me. What Joseph’s Been Up To: He rocked it out at the musical performance, and had a blast at the birthday party (bounce houses are always a hit). 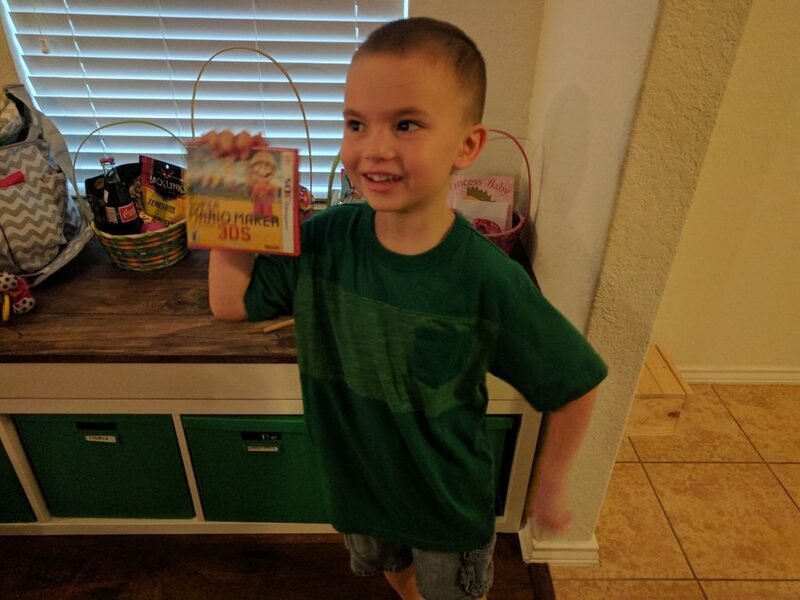 He was also really excited to see the contents of his Easter basket (candy from the Easter Bunny, books and a new video game from Momma and Daddy), as well as the contents of the baskets of the rest of the family. I love how much he loves to see other people happy! What Abigail’s Been Up To: A major development this week is that we’re moving her into a new car seat. 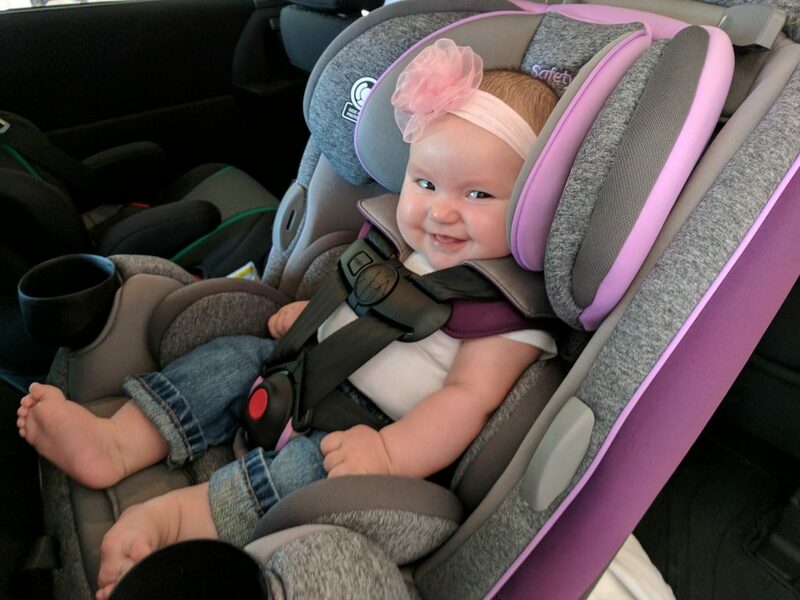 She still technically fits into her infant seat, but we purchased one that she still fits into but will grow with her (even up to booster size). She also has discovered a new sound: a combo of “gooing” and producing an absurd amount of spit. The result is surprisingly close to a sound that would come out of Chewbacca, haha. 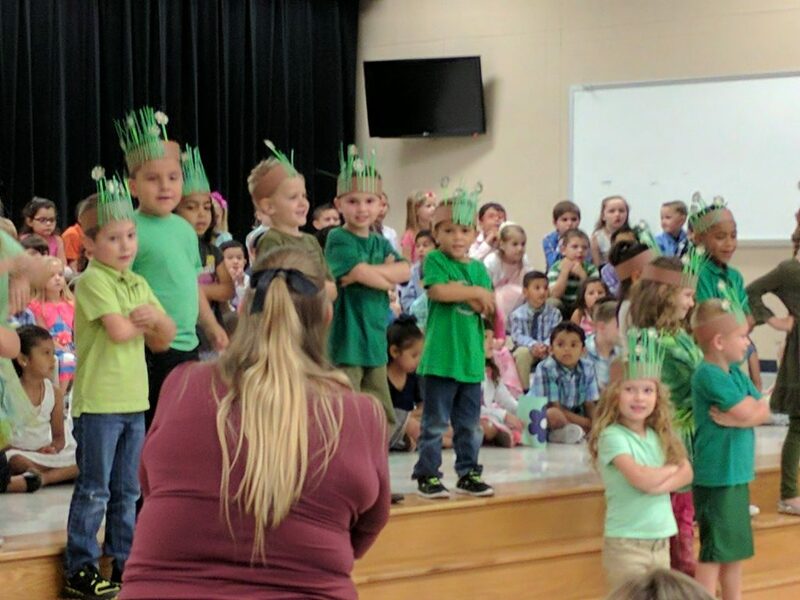 Being a “weed” during the musical performance. He loved dancing and singing along with his class. Dressed up like a weed. 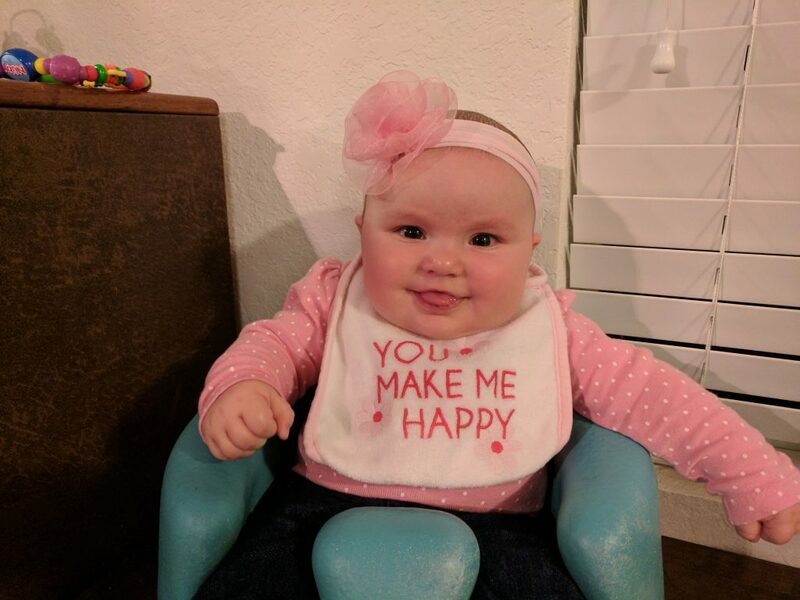 Happy girl in her new car seat! He was super excited to get Super Mario Maker (it’s technically for the 3DS, but it will play on his 2DS fine). 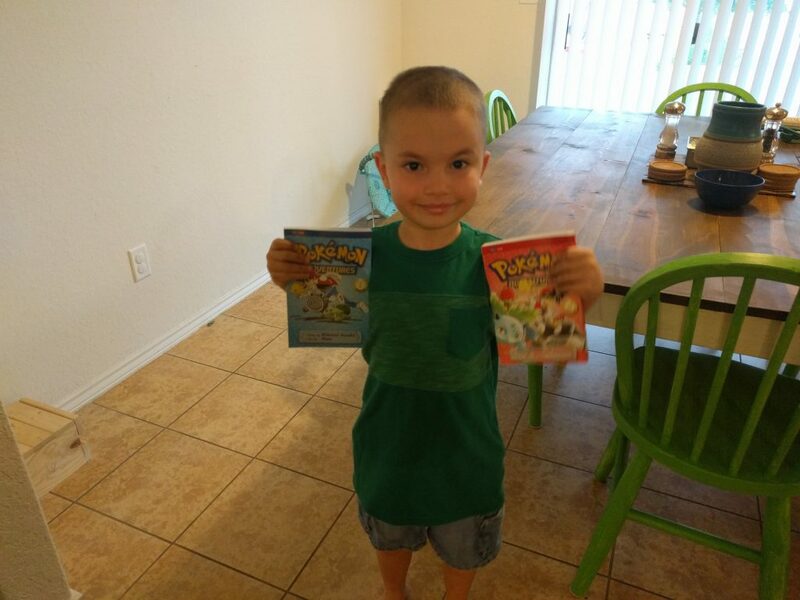 He was also excited to get some new Pokemon books. 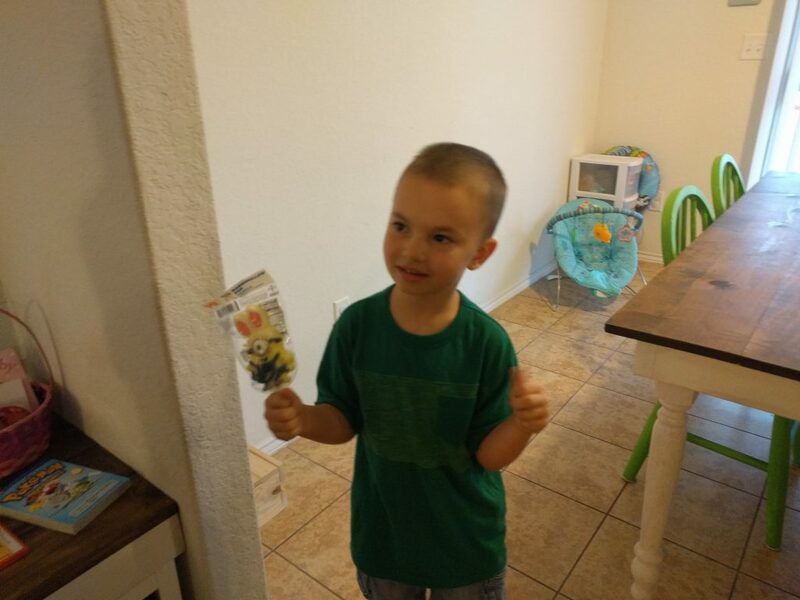 The Easter Bunny left him a marshmallow minion which he was pretty happy about, too.